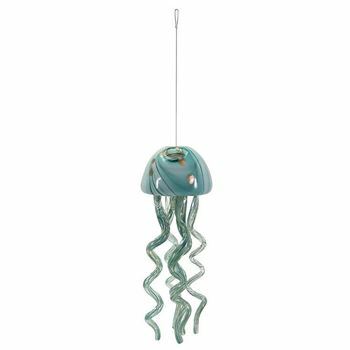 Add seaside charm to your deck with this small wind chime in a fun jellyfish design. Add seaside charm to your deck with this small wind chime in a fun jellyfish design. Made of blue and turquoise handcrafted artisan glass.